In fact, oil prices are rising for three reasons – none of which has to do with offshore drilling or the XL pipeline. Neither of these would have much effect were it not for the third reason – overwhelming bets of hedge funds and other money managers that oil prices will rise on the basis of the first two reasons. Speculation is different from manipulation. Anyone who buys a stock is, technically, a speculator. Liquidity is also provided by the speculator. Perhaps what is most troubling is that oil prices have soared while overall retail gas deliveries have dropped. The refiners, Tesoro and Valero, are up 30% year to date. You buy them before gasoline moves. Time to leave them and switch to the drillers. 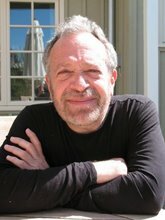 Only Robert Reich is surprised that gasoline prices go up in the spring and into Memorial Day. And I heard on a local radio station this morning that two refineries in the area are doing a clean up, and with them being closed, it’s making the prices rise….albeit, locally. Wonder if that is B.S.? Heard it’s supposed to go up to $5 shortly. Pretty soon, I won’t be able to afford to drive to work! In 1980 there were 250 refineries, we now have 149. There has not been a new refinery built in 35 years. I expect $4.50 by the end of May. And with California special standards and Iran problems, $5 is possible. Now you could follow the wishes of the government and buy a Volt for $40.000. Gas never broke $2.00/gallon before the oily George W. Bush led our 2003 invasion of Iraq. Prior to 2003, on an inflation-adjusted basis, the price at the pump had been virtually unchanged for the preceding 17 years. 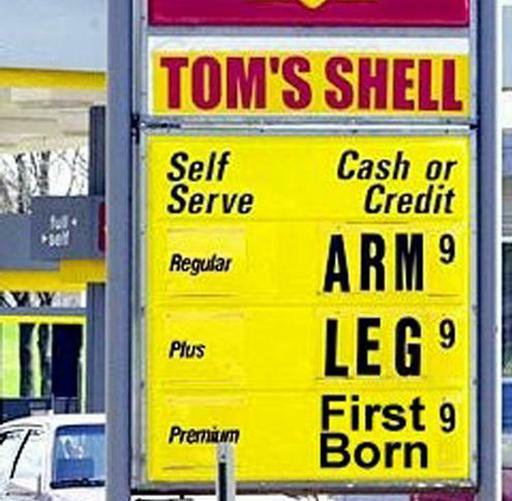 Yes, 17 years of virtually unchanged gas prices….after we built the Alaska pipeline. I wonder if anyone in Washington could connect those dots. I am also glad to hear gas price were all Bush’s fault too. So now that he is gone we could expect prices to drop? I was afraid all those new drivers in China and India was increasing demand and price. I just noted the timing of price evolution. I didn’t blame Bush. I wouldn’t pretend to know what drives gas prices. There are probably many factors in play. But Iraq has the second-largest oil trove in the world. And Iraq got knocked over in 2003. Which is when prices started going nuts. Did China and Indian drivers start driving in 2003? Did the Alaska pipeline stop pumpin’ in 2003? Any other catalysts come to mind?